“SHIP OF SCREAMS”: who sank the titanic? 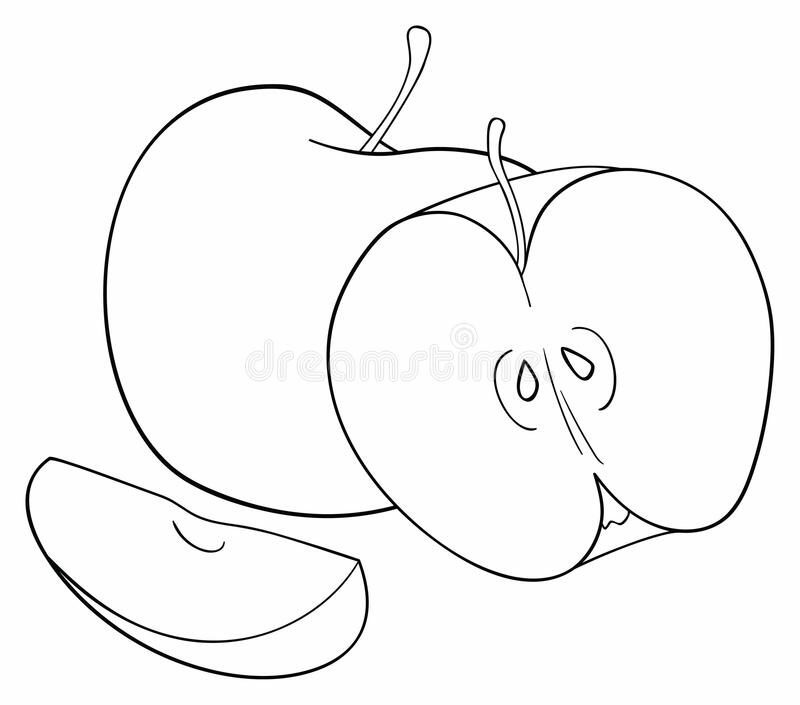 — medium – Mae Jacolo Aguilar "AppLe"
A copyright infringement is a violation of an individual or organization’s copyright. … Using commercial software without paying for it is a copyright infringement and as commonly known as piracy. Websites that contain original content are automatically protected under international copyright law. In 1902, J. P. Morgan embraced the idea of a maritime empire comprising a large number of companies. He founded the International Mercantile Marine Co., a trust which originally comprised only American shipping companies. The trust then absorbed Leyland Line and White Star Line. Although German liners dominated in terms of speed, British liners dominated in terms of size. RMS Oceanic and the Big Four of the White Star Line were the first liners to surpass SS Great Eastern as the largest passenger ships. However, ultimately, their owner was American (as mentioned above, White Star Line had been absorbed into J. P. Morgan’s trust). Faced with this major competition, the British government contributed financially to Cunard Line’s construction of two liners of unmatched size and speed, under the condition that they be available for conversion into armed cruisers when needed by the navy. The result of this partnership was the completion in 1907 of two sister ships: RMS Lusitania and RMS Mauretania, both of which won the Blue Riband during their respective maiden voyages. The latter retained this distinction for twenty years.Their great speed was achieved by the use of turbines instead of conventional expansion machines. In response to the competition from Cunard Line, White Star Line ordered the Olympic-class liners at the end of 1907. The first of these three liners, RMSOlympic, completed in 1911, had a fine career, although punctuated by incidents. This was not the case for her sister, the infamous RMS Titanic,which sank on her maiden voyage. The RMS( The Royal Mail Steamer)Titanic was known to be the most luxurious of its kind. She was called “The unsinkable”, equiped with immense hull, individualized watertight compartments,it was more than 100 feet high and nearly 900 feet long. Its displacement was around 52,000 tons at a weight of around 46,000 gross tonnage. The construction began on March 31, 1909, took 3000 men and three years to complete. This was a design collaboration between William Pirrie’s firm Harland and Wolff and J. Bruce Ismay’s White Star Line, in Belfast, Ireland. The estimated cost of construction was $7.5 million (over $400 million today). …When Titanic was designed, no facilities existed to build or berth such a large ship.Titanic was the largest movable man made object in the world at the time. Thomas Andrew’s original design of the Titanic was so efficient that it was originally conceived with only three funnels to service the massive boilers some 150 feet below. White Star thought it a necessity a ship of such grandeur must possess four funnels. As a result only three of the funnels were functional and the fourth was purely aesthetic. The Funnels were constructed off site and attached after the Titanic had left Dry-dock. Constructed from over 3 million rivets to connect the 1 inch thick iron plates together the hull had over 2000 portholes in it for the wealthier guests to view the waves rolling by. After the Titanics sinking enquiry some would blame the quality of the rivet installation and metal working on the Titanic for succumbing to an iceberg so easily. Titanic’s triple screw propulsion system were crafted from brass. Note the center screw has four blades whilst the port and starboard have three.. The Hull would measure 882.9 ft in length and 92 feet in width and require at least 59 feet of water to float unobstructed. To power the largest movable structure ever made would require an enormous power source and in the early 1900’s that source was coal powered steam. There were twenty-four double ended Scotch class boilers and a further five single ended boilers which were housed in six boiler rooms. The double ended boilers measured 20 feet long, with a diameter of 15 feet 9 inches and contained six coal burning furnaces. The single ended boilers were 11 feet 9 inches long with the same diameter. With all boilers firing the Titanic produced around 46,000 horsepower. These shipyards drove Ireland’s economy in the early twentieth century. Titanic’s sister ship The Olympic had begun some three months earlier and the two ships were essentially constructed side by side by over 15,000 workers, Constructing the Titanic would cost 8 employees their life working on such a mammoth and often dangerous construction site. During her 8 month stay at the wharf, they also worked hard on the luxurious interior of the Titanic. For first-class passengers, the Titanic should be as much a luxury hotel as a steamship. It must offer all the amenities of a five-star hotel.The financial and social elite would be White Star Line’s target market.The company ordered Thomas Andrews, its chief designer (and also William James Pirrie’s nephew), to design ships that would make the wealthy feel like they were traveling the ocean in the finest hotel they could imagine. Titanic offered the moneyed flawless personal service; pleasurable amenities; the best food and drink; and beautiful facilities. First Class bedroom/Turkish bath/Verandah Cafe on Titanic (also known as Palm Court). R.M.S. TITANIC wallpaper with a full dress uniform, regimentals, and dress blues titled The crew. Captain Edward John “E. J.” Smith, wearing a bowler hat and a long overcoat, took a taxi from his home to Southampton docks. He came aboard Titanic at 7 am to prepare for the Board of Trade muster at 8:00 am. The RMS Titanic sets sail on April 10, 1912, at around 12 p.m from Southampton, England, carrying 2,206 people, including a crew of 898 with speed limits of 23 knots (more than 26 miles per hour). He immediately went to his cabin to get the sailing report from Chief OfficerHenry Wilde. After departure at noon, the huge amount of water displaced by Titanicas she passed caused the laid-up New York to break from her moorings and swing towards Titanic. Quick action from Smith helped to avert a premature end to the maiden voyage. The first four days of the voyage passed without incident, but shortly after 11:40 pm on 14 April Smith was informed by First Officer William Murdochthat the ship had just collided with an iceberg. April 14, 1912, 11:40 p.m. — The Titanic hits an iceberg in the North Atlantic around midnight. It was soon apparent that the ship was seriously damaged; designer Thomas Andrewsreported that all of the first five of the ship’s watertight compartments had been breached and that Titanic would sink in under two hours. April 15, 1912, 12:40 a.m. — Captain Edward Smith gives the order to uncover the lifeboats and evacuate women and children. April 15, 1912, 12:20 a.m. — The RMS Carpathia receives distress calls and heads to the site to help. It arrives at 3:30 a.m.
April 15, 1912, 12:45 a.m. — The first lifeboat is launched with 28 people on board out of a capacity of 65. April 15, 1912, 2:20 a.m. — The Titanic sinks in less than three hours. Approximately 1,500 people died and nearly 700 survived out of about 2,220 passengers and crew. Captain Smith was the biggest hero I ever saw. He stood on the bridge and shouted through a megaphone, trying to make himself heard. Smith was to retire after the maiden voyage of the Titanic, but he died when the ship sank. On April and May 1912 — Separate American and British investigations and official inquiries were made. Titanic infamously had too few lifeboats to evacuate all those on board; the 20 lifeboats that she carried could only take 1,178 people, even though she had about 2,223 on board at the time of her sinking and could carry up to about 3,300 people. Speed was deliberately compromised on the Titanic in an attempt to offer passengers a smoother ride without the vibration of its competitors. Titanic was by no means slow and could complete the journey from Southampton to New York in just under a week. There was initially some confusion in both the United States and the UK over the extent of the disaster, with some newspapers at first reporting that the ship and the passengers and crew were safe. By the time Carpathia reached New York, it had become clear that Titanic, reputed to be unsinkable, had sunk and many had died. Chaired by Senator William Alden Smith, the inquiry was a subcommittee of the Senate’sCommerce Committee. The hearings began in New York on April 19, 1912, later moving to Washington, D.C., concluding on May 25, 1912 with a return visit to New York. There were a total of 18 days of official investigation. Smith and seven other senators questioned surviving passengers and crew, and those who had aided the rescue efforts. More than 80 witnesses gave testimony or deposited affidavits. These included surviving passengers and crew members, as well as captains and crew members of other ships in the vicinity, expert witnesses, and various officials and others involved in receiving and transmitting the news of the disaster. Subjects covered included the ice warnings received, the inadequate number of lifeboats, the handling of the ship and its speed, Titanic’s distress calls, and the handling of the evacuation of the ship. The final report was presented to the United States Senate on May 28, 1912. It was nineteen pages long, with 44 pages of exhibits, and summarized 1,145 pages of testimony and affidavits. The report was strongly critical of established seafaring practices and the roles that Titanic’s builders, owners, officers and crew had played in contributing to the disaster. It highlighted the arrogance and complacency that had been prevalent aboard the ship and more generally in the shipping industry and the British Board of Trade. However, it did not find IMM or the White Star Line negligent under existing maritime laws, as they had merely followed standard practice, and the disaster could thus only be categorised as an “act of God”. Overseen by High Court judge Lord Mersey, and was held in London from 2 May to 3 July 1912. The hearings took place mainly at the London Scottish Drill Hall, at 59 Buckingham Gate, London SW1. There were a total of 42 days of official investigation. Lord Mersey and the various counsels, assessors and experts in marine law and shipping architecture, questioned White Star Line officials, government officials, surviving passengers and crew, and those who had aided the rescue efforts. Organisations represented by legal counsels included shipping unions and government organisations. Nearly 100 witnesses testified, answering more than 25,000 questions. The Attorney General for England and Wales, Sir Rufus Isaacs, gave the commission a list of 26 questions concerning issues such as Titanic’s construction, how she had been navigated and the ice warnings received prior to the collision with the iceberg. A further question was added after the inquiry began concerning the role played by SS Californian, which had been in the vicinity of Titanic but had not rendered assistance to the sinking ship. The sinking was caused by a collision with an iceberg in the North Atlantic some 700 nautical miles east of Halifax, Nova Scotia. Over 1500 passengers and crew died, with some 710 survivors in Titanic’s lifeboats rescued by RMSCarpathia a few hours later. The failure of Californian to go to the rescue of the sinking Titanic, which had been disclosed by the American inquiry, was already controversial and became even more so with the testimony of Captain Lord and his officers. Lord’s claims and explanations were contradicted by his officers and he was portrayed by them as an intimidating and somewhat tyrannical figure.Lord appeared only as a witness and was not accused of wrongdoing. Another testimony was given relating to the fire which had begun in Titanic’s coal stores approximately 10 days prior to the ship’s departure, and continued to burn for several days into its maiden voyage out of Southampton. Little note was taken of it. It has been theorized by modern-day historians (2016) that the fire damaged the structural integrity of two bulkheads and the hull; this combined with the speed of the vessel have been given as contributing reasons for the disaster. The final report was published on 30 July 1912. It was found that Titanic’s sinking was solely the result of colliding with the iceberg, not due to any inherent flaws with the ship, and that the collision had been brought about by a dangerously fast speed in icy waters. It also found that the lookout being kept was inadequate given the navigational hazards Titanic faced, and that the ship’s officers had been complacent. There were too few lifeboats available and they had not been properly filled or manned with trained seamen, though they had been lowered correctly. The inquiry concluded that Californian“could have pushed through the ice to the open water without any serious risk and so have come to the assistance of the Titanic. Had she done so she might have saved many if not all of the lives that were lost.” The Board of Trade’s representative suggested to Lord Mersey that a formal inquiry should be held into Captain Lord’s “competency to continue as Master of a British ship” but no action was taken against him due to legal technicalities. The Board of Trade was criticised for its inadequate regulations, notably the failure to ensure that enough lifeboats were provided and that crews were given proper training in their use. The Duff Gordons were cleared of wrongdoing but it was made clear that they should have acted more tactfully. The report’s recommendations, along with those of the earlier United States Senate inquiry that had taken place in the month after the sinking, led to changes in safety practices following the disaster. On the first of September 1985 one of the greatest mysteries of the twentieth century was solved as three supercharged lights strained to break through the murky depths of the Atlantic Ocean floor to reveal a sharp mass rising up from below which clearly did not fit with its surroundings. Those lights were attached to a tiny three man deep-water submarine called Alvin captained by Dr. Robert Ballard a renowned oceanographer and underwater archaeologist and that sharp mass was the bow of the Titanic. Within moments Ballard and his crew realized they were the first people to lay eyes on the Titanic in over 73 years. As they confirmed portholes, cabins and items that correlated perfectly with blueprints of Titanic and found the Titanicin 3,700 m of water on the ocean floor. The ship had broken into two major sections, which are about 600 m apart. Between these two sections is a debris field containing broken pieces of steel hull and bulkhead plates, rivets that had been pulled out, dining room cutlery and chinaware, cabin and deck furniture, and other debris. The only items to survive at the site are those made of metals or ceramics. All items made from organic materials have long since been consumed by scavengers, except for items made from leather such as shoes, suitcases, and mail sacks; tanning made leather unpalatable for the scavengers. The contents of the leather suitcases and mail sacks, having been protected, have been retrieved and restored. Alvin Drifted alongside the rusted mass of the bow of the Titanic for nearly an hour before technical issues and Mother Nature deemed it must make its two and a half hour ascent to share this news with the world. The Coal Bunker Fire: Titanic departed from Southampton dock a small fire broke out in boiler room six in one of the coal bunkers. A fire began in one of Titanic’s coal bunkers (boiler room six) approximately 10 days prior to the ship’s departure, and continued to burn for several days into its voyage. Fires occurred frequently on board steamships due to spontaneous combustion of the coal. The fires had to be extinguished with fire hoses, by moving the coal on top to another bunker and by removing the burning coal and feeding it into the furnace. This event has led some authors to theorise that the fire exacerbated the effects of the iceberg collision, by reducing the structural integrity of the hull and a critical bulkhead. Senan Molony has suggested that attempts to extinguish the fire — by shovelling burning coals into the engine furnaces — may have been the primary reason for the Titanic steaming at full speed prior to the collision, despite ice warnings. Journalist Senan Molony, who has spent more than 30 years researching the sinking of the Titanic, studied photographs taken by the ship’s chief electrical engineers before it left Belfast shipyard, was able to identify 30-foot-long black marks along the front right-hand side of the hull, just behind where the ship’s lining was pierced by the iceberg. He said: “We are looking at the exact area where the iceberg stuck, and we appear to have a weakness or damage to the hull in that specific place, before she even left Belfast”. Experts subsequently confirmed the marks were likely to have been caused by a fire started in a three-storey high fuel store behind one of the ship’s boiler rooms. Mr Molony said: “The official Titanic inquiry branded [the sinking] as an act of God. This isn’t a simple story of colliding with an iceberg and sinking. “It’s a perfect storm of extraordinary factors coming together: fire, ice and criminal negligence. “Nobody has investigated these marks before. It totally changes the narrative. We have metallurgy experts telling us that when you get that level of temperature against steel it makes it brittle, and reduces its strength by up to 75 per cent.“The fire was known about, but it was played down. She should never have been put to sea.” In 2008, Ray Boston, an expert with more than 20 years of research into the Titanic’s journey, said he believed the coal fire began during speed trials as much as 10 days prior to the ship leaving Southampton. He said the fire had potential to cause “serious explosions” below decks before it would reach New York. Boiler room six was located between the middle of the ship and the bridge of the vessel, because of its location and the fact the coal had burned for four days (after isolating the affected coal bunker)on the iron floor, one belief is that this event aided in the ships famous split. The fire had weakened the iron and the keel of the ship, causing hairline fractures. As the Titanic sank, the weight of her stern turned these hairline fractures into cracks which eventually broke into two parts. New York City College of Technology Prof. Rich Woytowich, 61, said about his high-tech defense of the now-dead witnesses. Just ahead of the 100th anniversary of the sinking on April 15, he and a colleague will present a computer model showing the Titanic split apart on its way to its watery grave makes perfect sense. The computer model, which Woytowich devised with technical historian Roy Mengot, shows the breakup of the Titanic likely started when two pieces tore off the bottom of it. After that, their computer model indicates, the ship broke in half. Then the back portion, or stern, stood on end before sliding into the water — which gives credence to testimony from survivors like crew member Edward Buley. One of the most controversial and complex theories was put forward by Robin Gardiner in his book, Titanic: The Ship That Never Sank? Olympic was the slightly older sister of Titanic, built alongside the more famous vessel but launched in October 1910. Her exterior profile was nearly identical to Titanic, save for minor details such as the number of portholes on the forward C decks of the ships, the spacing of the windows on the B decks, and the forward section of the A deck promenade on Titanic that had been enclosed only a few weeks before she set sail on her ill-fated maiden voyage. Both ships were built with linoleum floors, but shortly before she was due to set sail J. Bruce Ismay, managing director of the White Star Line, inexplicably ordered the floors aboard Titanic carpeted over. The Olympic, was launched a few months prior to the Titanic, and like Titanic, the Olympic had a reputation for bumping into things, within the first weeks of her launch she had a minor collision which was repaired, however, not long after, she had a major collision with another ship that was sucked towards her stern by her enormous propellers. This incident crippled the keel of the Olympic, and she would never be able to sail again legally. This loss would have left the White Star Line bankrupt. It has been rumoured that the two ships were switched, the Olympic became the Titanic, and the Titanic became the Olympic, it is speculated that once the Titanic (Olympic) reached New York, her sister ships Olympic (Titanic) and Brittanic would be ready to sail, leaving the Titanic (Olympic) moored in the dock for as long as possible. There is a very convincing idea that the Titanic (Olympic) could have missed the iceberg if the keel of the ship was not bent, meaning that she could have turned port (left) much easier. There is a theory that the damaged Titanic (Olympic) could have been sunk intentionally to claim insurance. Olympic at left, and Titanic at right. If you compare the two ships, Titanic and Olympic, you can notice some differences between the ships, like the number of portholes on the bow, and the patchwork repairs on the Olympic after her collisions. But if that isn’t enough to convince you… when the wreck of the Titanic was discovered along with her huge propellers, the serial number on the propellers was registered to RMS Olympic, not Titanic! Some conspiracy theorists believe that the Titanic was sunk on purpose to eliminate opposition to the creation of the Federal Reserve Bank. Some of the wealthiest men in the world were aboard the Titanic for its maiden voyage. Several of whom including John Jacob Astor IV, Benjamin Guggenheim, and Isidor Straus were allegedly opposed to the creation of a U.S. central bank. All three men died during the sinking. Conspiracy theorists suggest that J.P. Morgan, the legendary 74-year-old financier who set up the investment banking firm that still bears his name, arranged to have the men board the ship and then sink it to eliminate them. Morgan, nicknamed the “Napoleon of Wall Street,” had helped create General Electric, U.S. Steel, and International Harvester, and was credited with almost single-handedly saving the U.S. banking system during the Panic of 1907. Morgan did have a hand in the creation of the Federal Reserve, and owned the International Mercantile Marine, which owned the White Star Line, and thus the Titanic. Morgan, who had attended the Titanic’s launching in 1911, had a personal suite aboard the ship with his own private promenade deck and a bath equipped with specially designed cigar holders. He was reportedly booked on the ship’s maiden voyage but instead canceled the trip and remained at the French resort of Aix-les-Bains to enjoy his morning massages and sulfur baths. His last-minute cancellation has fueled speculation among conspiracy theorists that he knew her fate. © Copyright 2018 Mae Jacolo Aguilar”apple”. All rights reserved. Any portion thereof may not be reproduced or used in any manner whatsoever without the express written permission of the Author/publisher. Like what you read? Give Mae Jacolo Aguilar”apple” a round of applause. JOIN MEDIUM.COM and clap to show how much you enjoyed this story. Was it the Titanic that sank, or the sister ship Titan? What role does The Creature From Jekyll Island play? Hey Kenneth T… Im not familiar with the Jekyll Island play… but about Titanic, as far I know it had a sister ship, RMS Olympic. It was badly damaged that would cost them a lot, so I think It was highly possible that they actually did the switching for insurance advantage.